First of all, let me say that I am so unbelievably proud of my kids! I know that they both worked extremely hard this year. 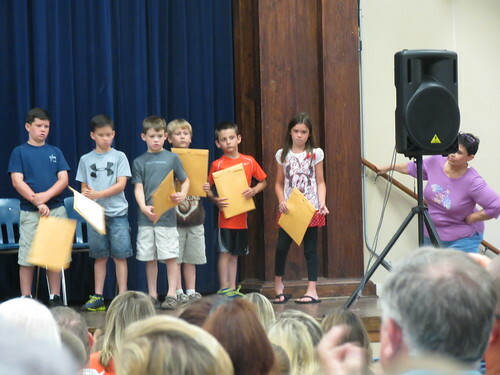 Kindergarten through second grade was first thing in the morning on June 3, 2013. 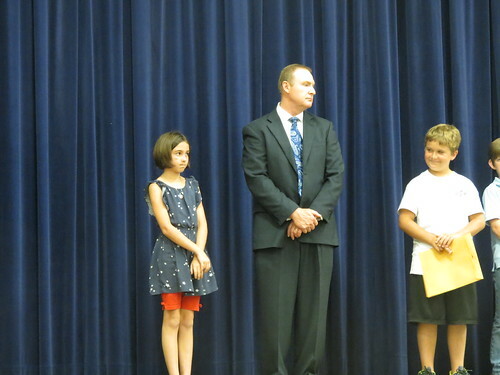 Here is Anna and Mr. Carnley waiting while Mrs. Upton calls her awards. 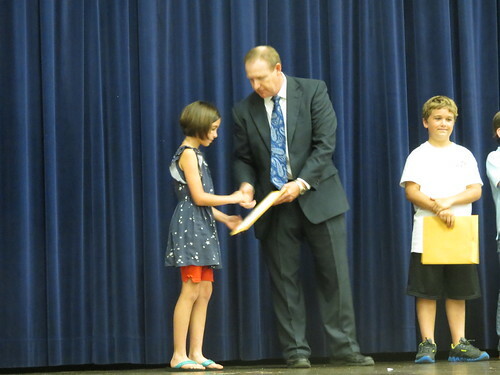 She received a Citizenship Award, A Honor Roll all year, meeting her AR Yearly Goal and her AR Each Nine Weeks Goal award. 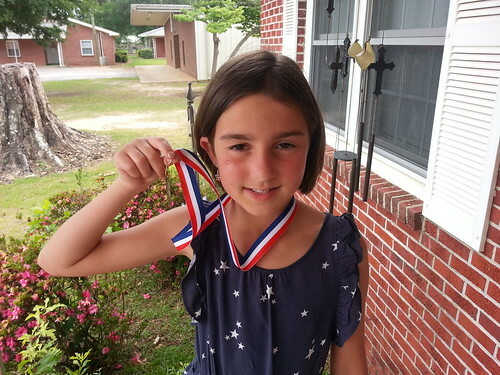 This medal is her AR Yearly Goal award. 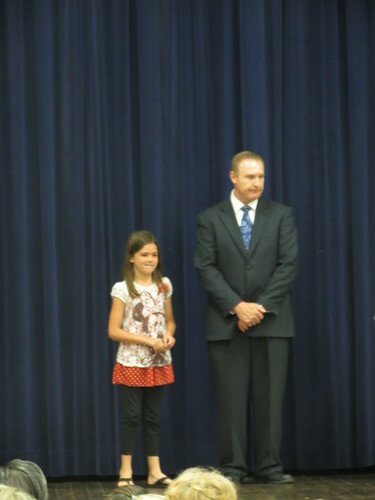 Isabelle and Mr. Carnley waiting on Mrs. Toyama to call her awards. She surprised me with all of the awards that she received. 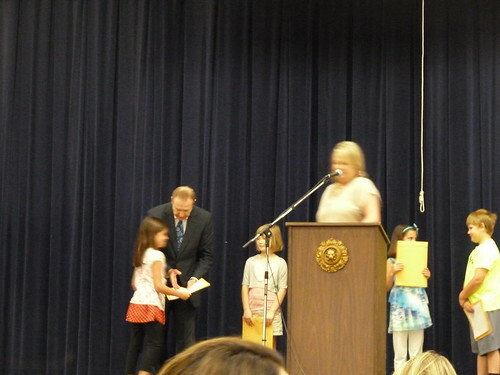 She got a Citizenship Award, A Honor Roll all Year, AR Yearly Goal, AR Each Nine Weeks Goal, Highest AR Points in her class, Top Science Student, Top Language Arts Student, and Top Social Studies Student. 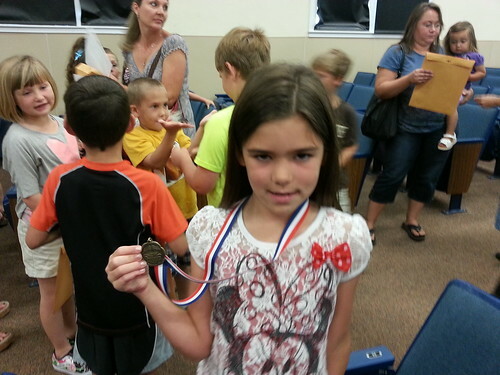 She also received an award called the Sunshine State Young Readers Award. This is for her reading a list of 15 books set aside by some committee. I can tell you they weren’t books that I would have picked for my kids, but she wanted to read them all just to say she did it. 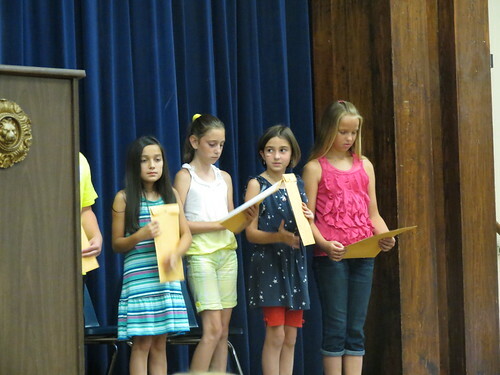 She was also recognized for being the only kid that made a 100% score on all of the tests on these books. Isabelle has come a long way. I remember at the end of the first grade year, wondering whether or not we messed up by letting her start school when she did and not holding her back. Again, I am so proud of them! I have some pretty great kids! And thanks Jenny for helping me take pictures since Will wasn’t there and I had Luke by myself. You should be very proud Mama!! GREAT JOB girls!! !